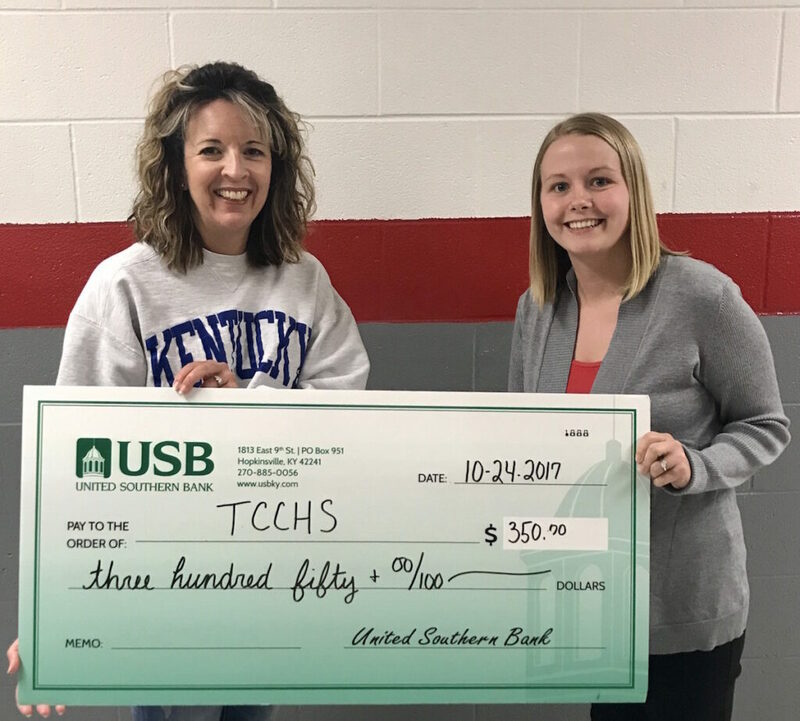 United Southern Bank makes a donation to Todd County High School’s basketball program. Michelle Rager is receiving the donation on behalf of TCCHS. The donation will help basketball boosters purchase needed chairs, proudly displaying the USB logo. « October Meet & Eat!